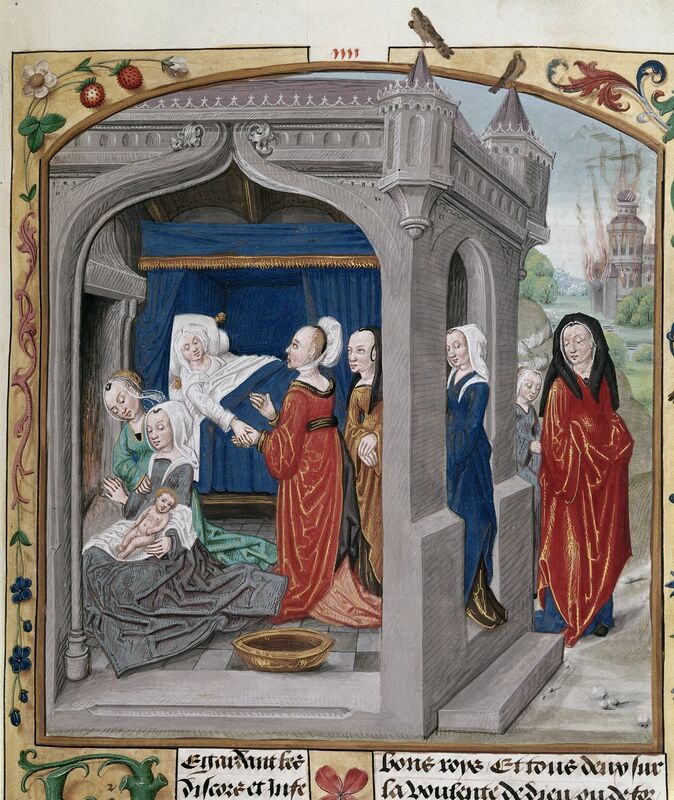 To celebrate the arrival of the Duke and Duchess of Cambridge’s new royal prince, here are a few images of medieval babies being born and cared for. 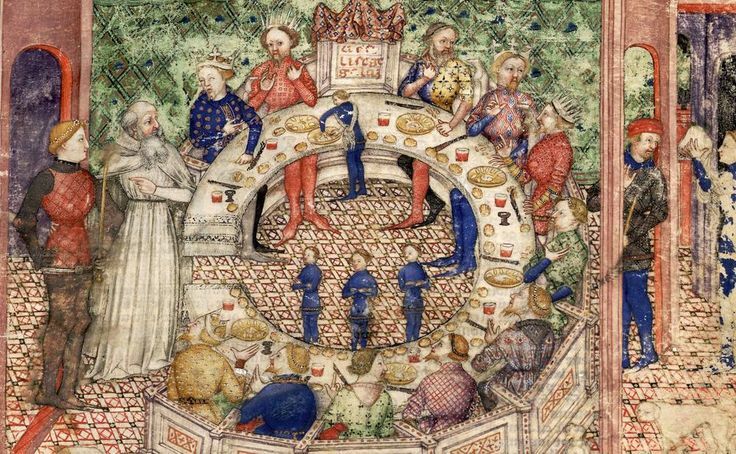 I tweeted many of them last year in the #MedievalBabies series, but they give such a touching insight into the world of the medieval family that they are worth presenting again. 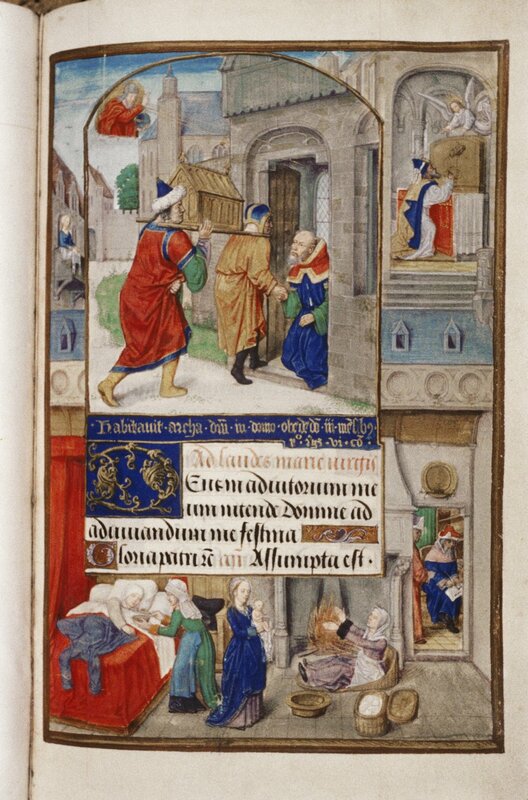 Birth of Caesar, British Library Royal 17 F II. 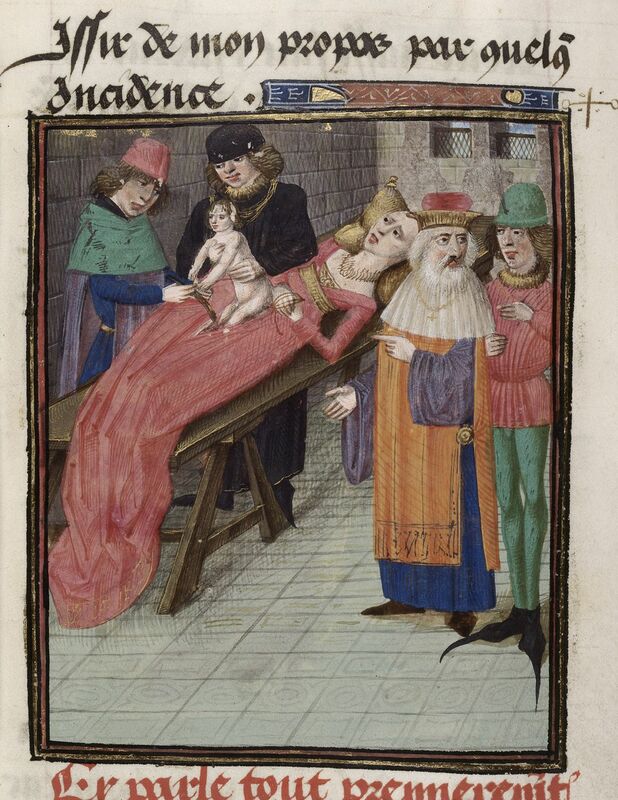 Caesarean Section, British Library, Royal 16 G VII. 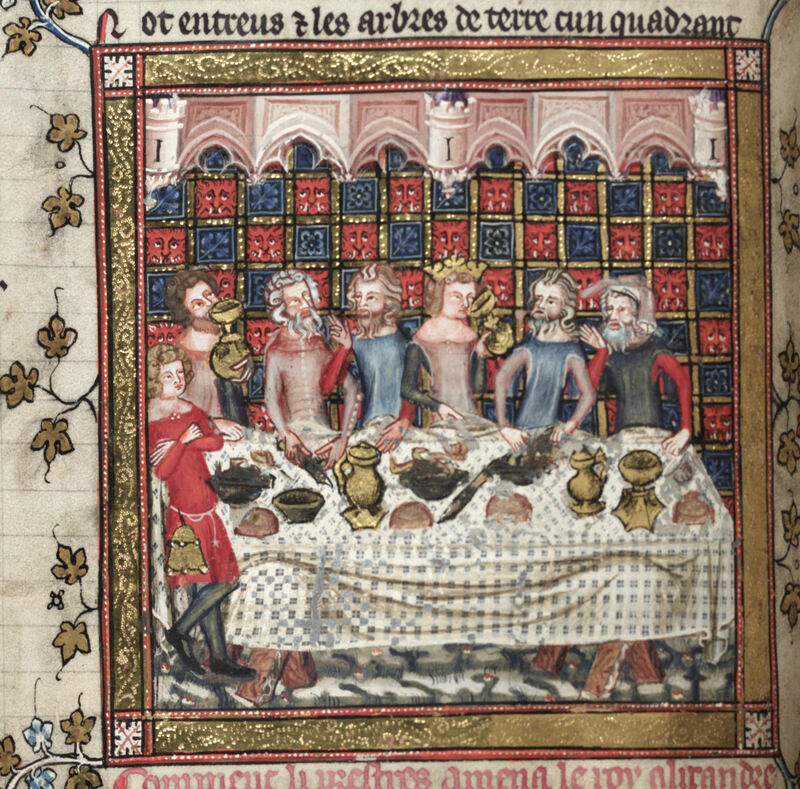 Birth of Caesar, British Library, Royal 16 G VIII. Others poignantly capture, and even graphically depict, the suffering of the mother struggling with a natural birth. 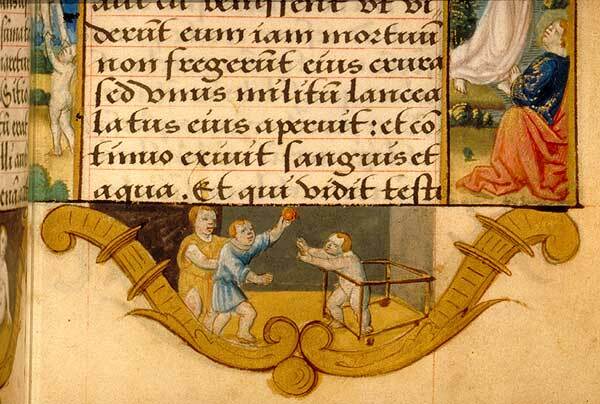 Birth of Jacob and Esau in Hague MS MMW 10 A 11. 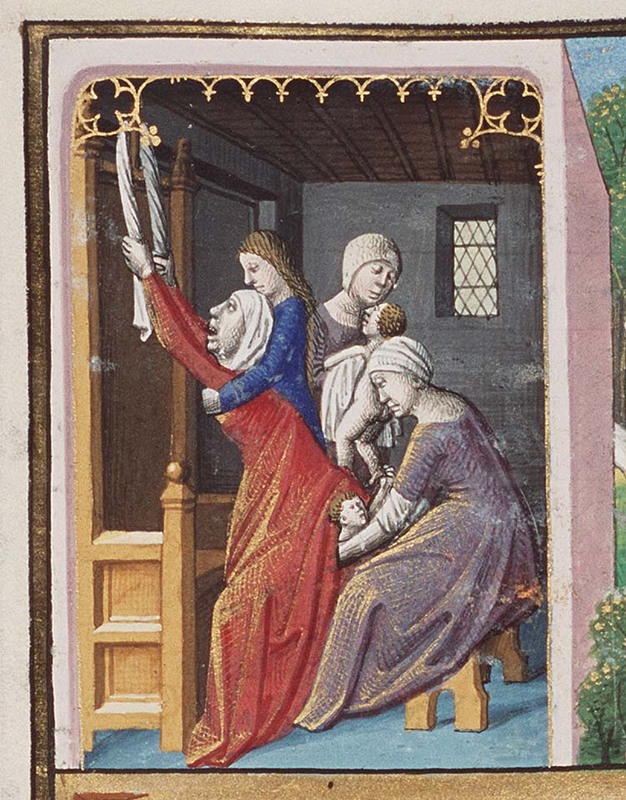 Childbirth, Codex Nova 2641, Osterreichische Nationalbibliothek, Vienna. 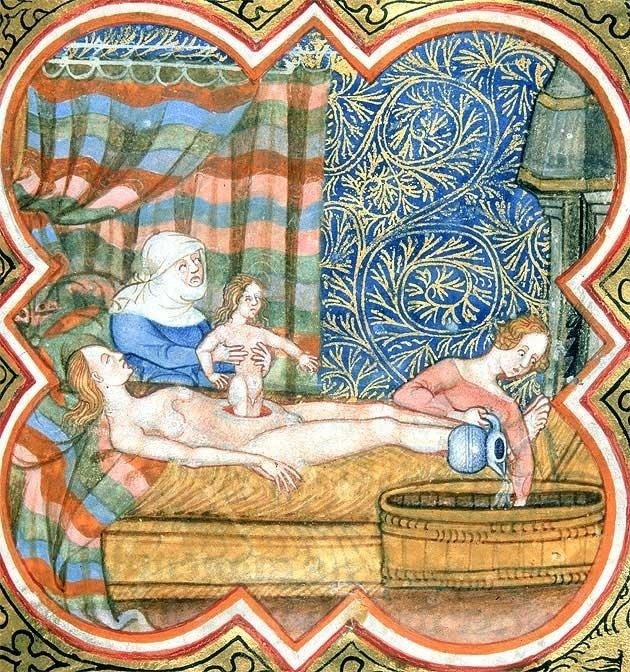 In contrast to the pain and suffering of the birthing process, the aftermath of childbirth is often shown as tranquil. 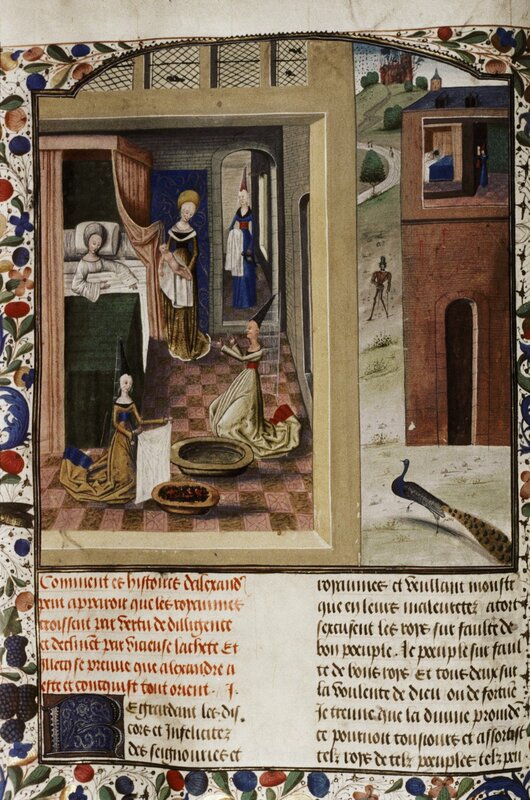 Mother relaxes exhausted in her birthing chamber as her maidens and midwives attend to baby with clean sheets and a freshly prepared bath. 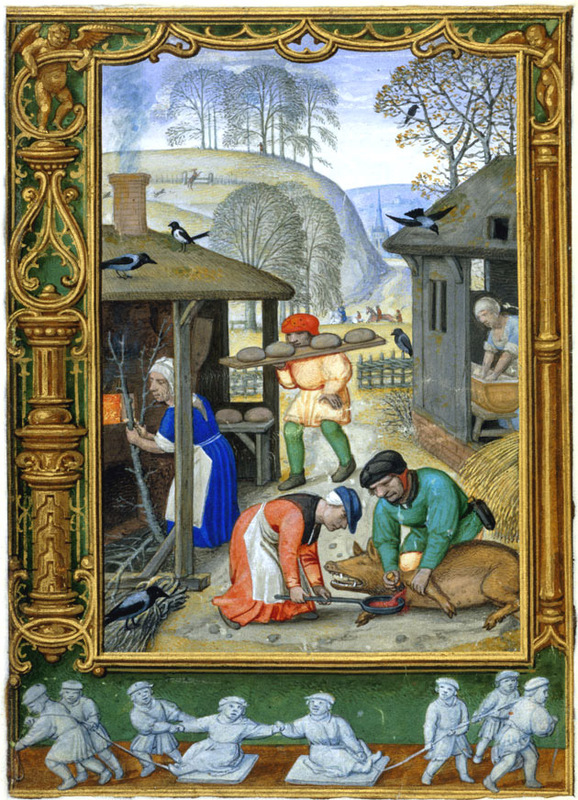 Preparing a bath for baby, Saint Jean-Baptiste Heures d’Étienne Chevalier. 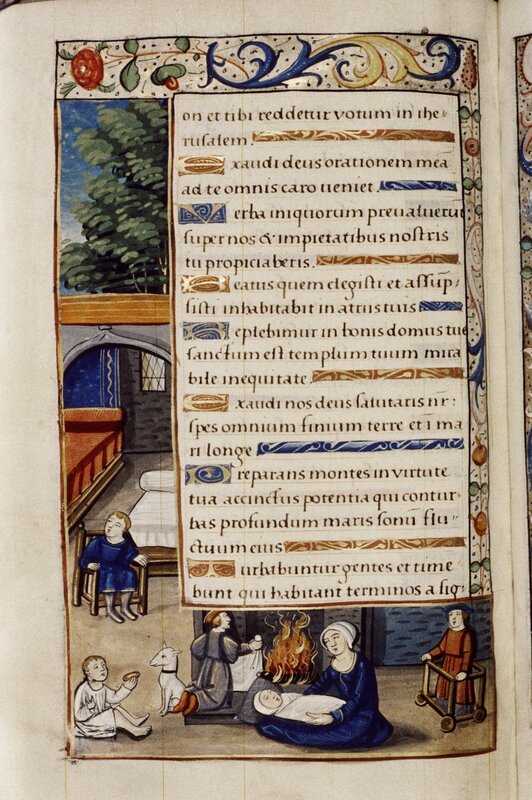 Birth scene in a Book of Hours, Oxford, Bodleian Library MS Douce 112. 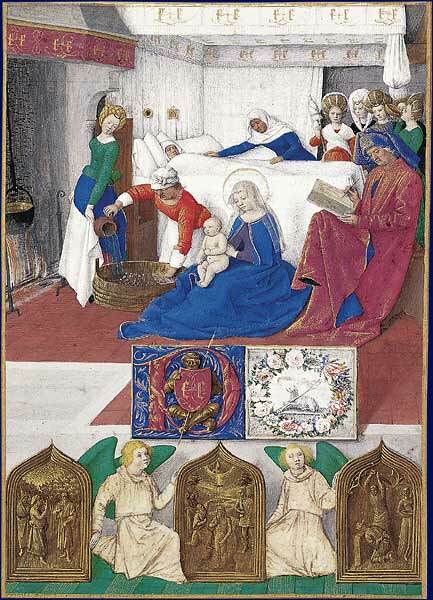 Birth of Alexander the Great, British Library MS Royal 20 C III. 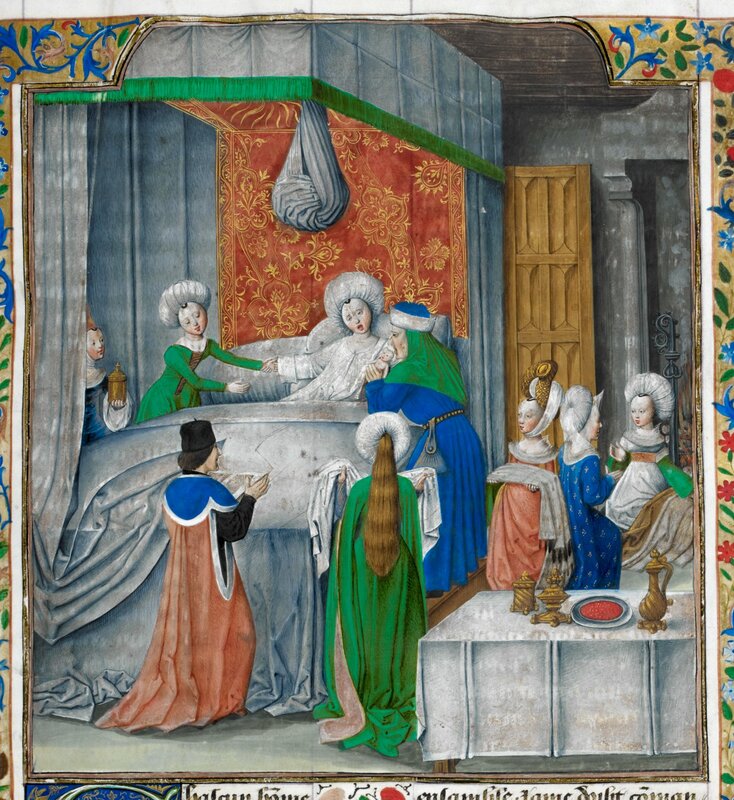 Birth of Alexander the Great, Oxford, Bodleian Library MS Laud Misc. 751. 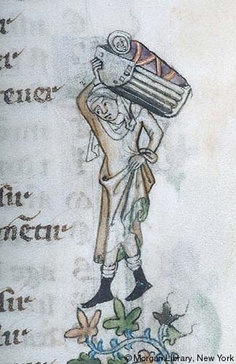 My favourite images are those that show little children learning to walk with baby walkers or parents carrying their children around in ingenious carriers, not unlike modern baby equipment. 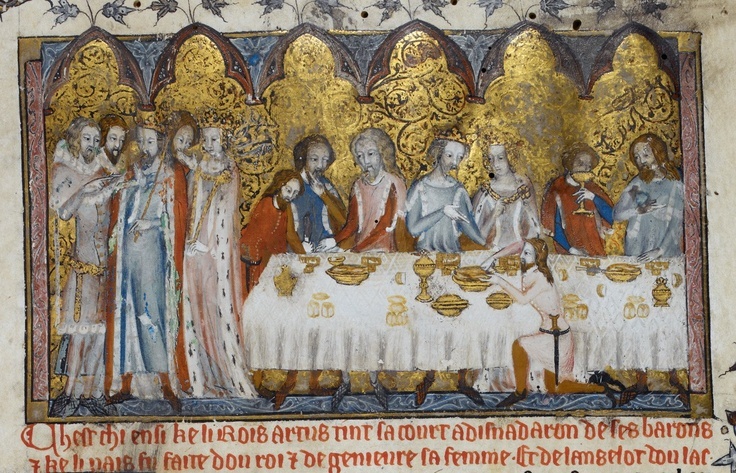 Christ learns to walk in the Hour of Catherine of Cleeves. 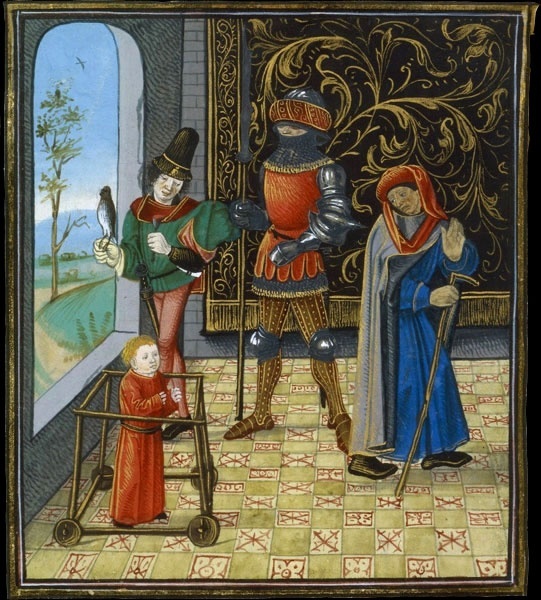 Baby Walker in BnF NAL 392. 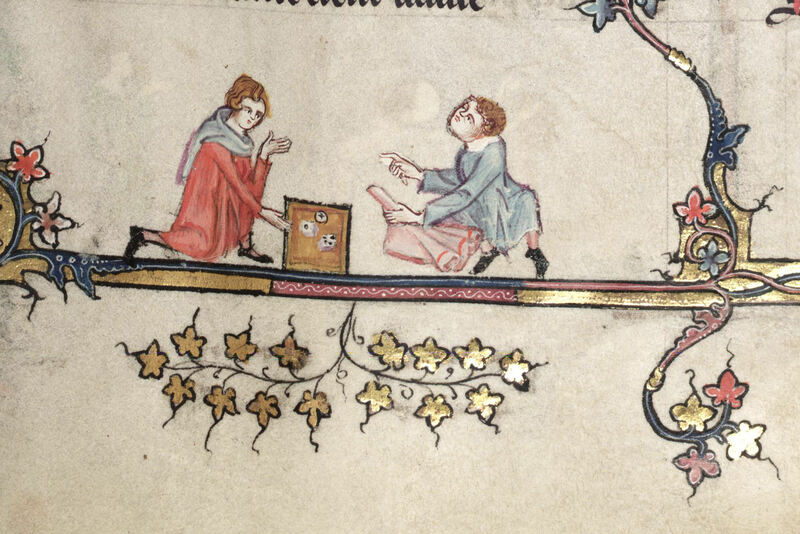 Baby Walker in Oxford, Bodleian Library MS Douce 276. 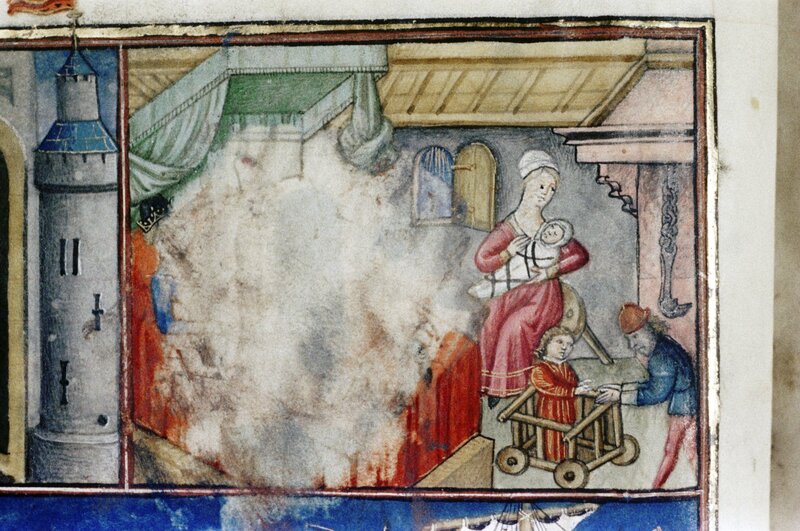 Baby walker in Oxford, Bodleian Library MS Douce 353. 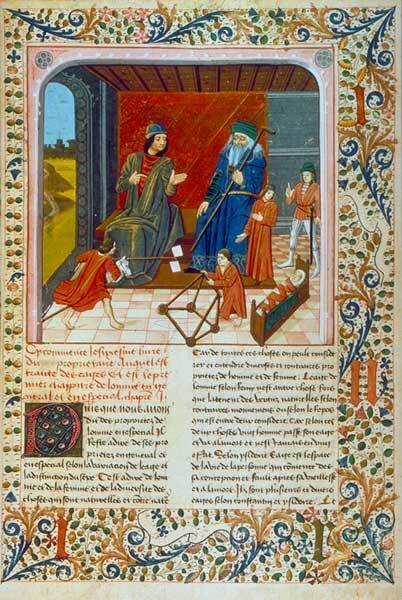 The Ages of Man, BNF, Français 134. 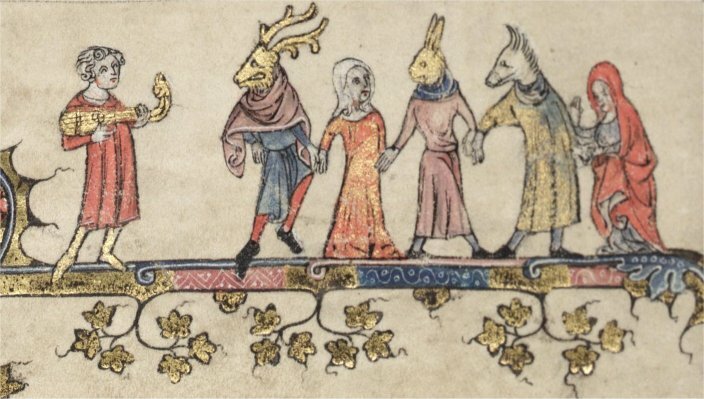 Seven Ages of Man, BnF Fr. 218. 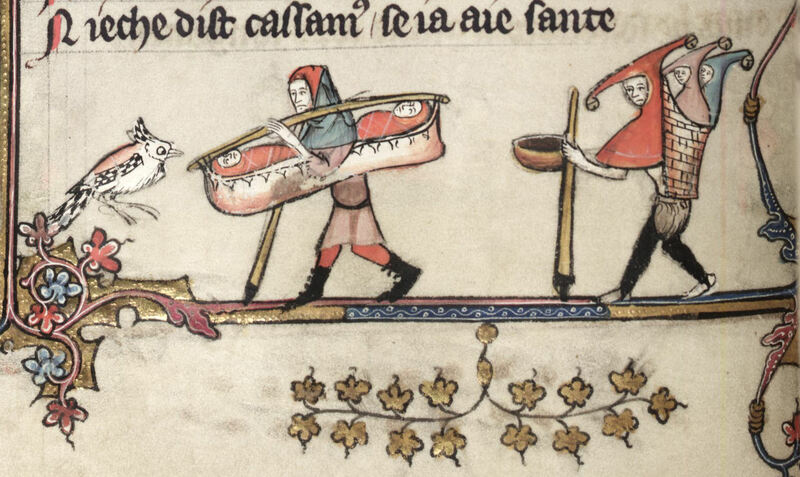 Carrying twins in the margins of the Romance of Alexander, Oxford, Bodleian Library MS Bodley 264. 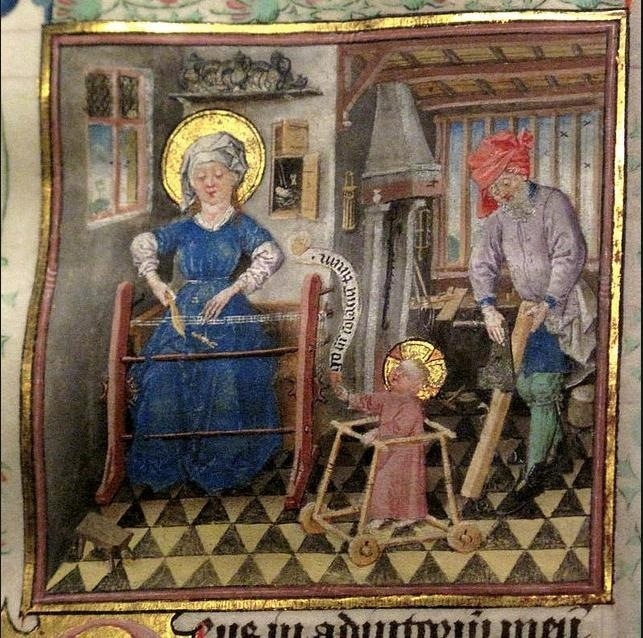 And finally… what happens to baby when the parents have to work? It goes with them! 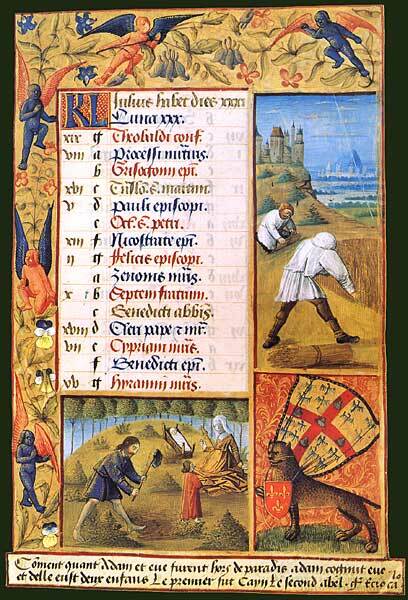 New York Pierpont Morgan Library, MS G.24. 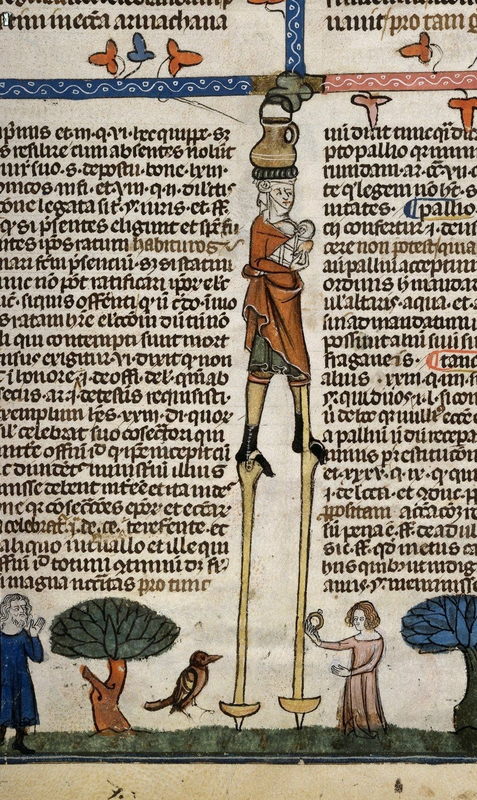 Multitasking mum breastfeeds, walks on stilts and balances pot. 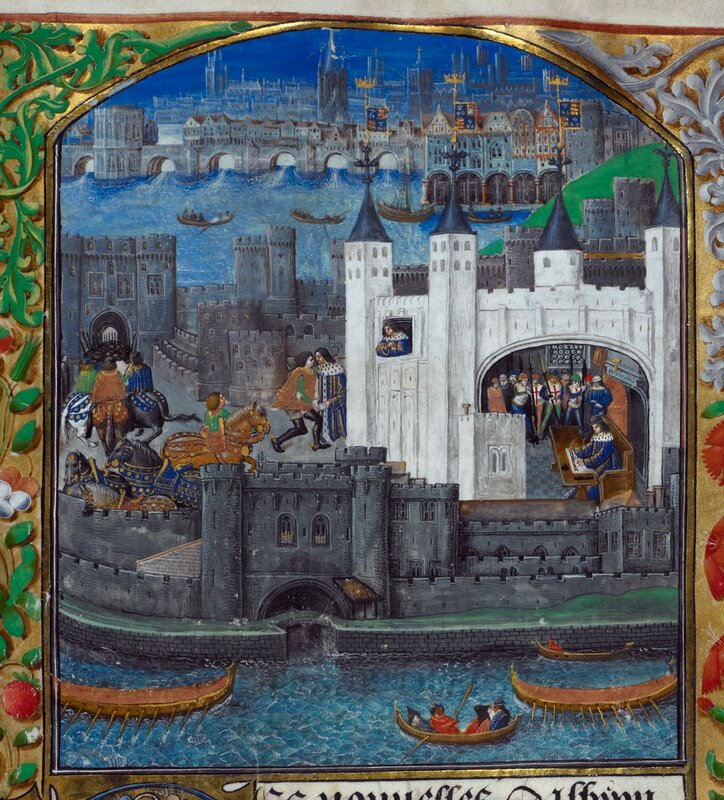 British Library Royal 10 E iv. Working Parents. 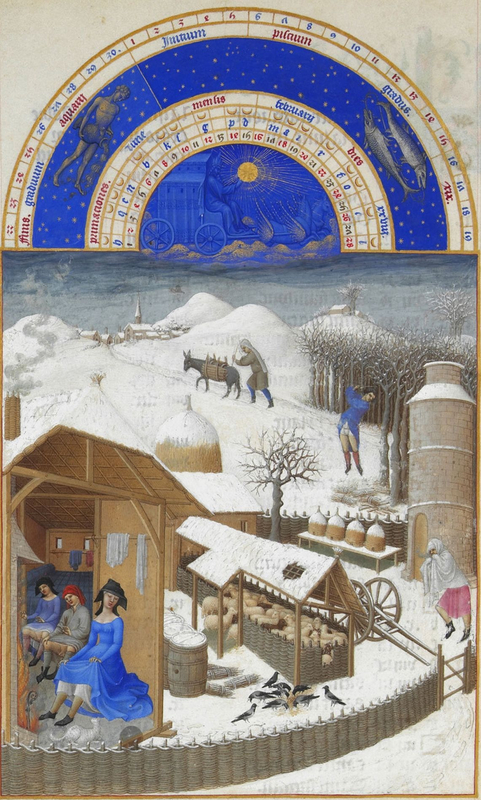 Jean Colombe, Heures de Louis de Laval, BnF, Latin 920. This entry was posted in The Parchment Mirror and tagged Alexander the Great, baby carriers, baby walkers, birthing chamber, Caesar, Caesarean, Cambridge, Catherine Duchess of Cambridge, Childbirth, Duchess of Cambridge, Guy Ritchie, kate middleton, King Arthur, medieval, Medieval Babies, pregnancy, prince, Prince George, prince william, Prince William Duke of Cambridge on July 22, 2013 by Sarah Peverley. 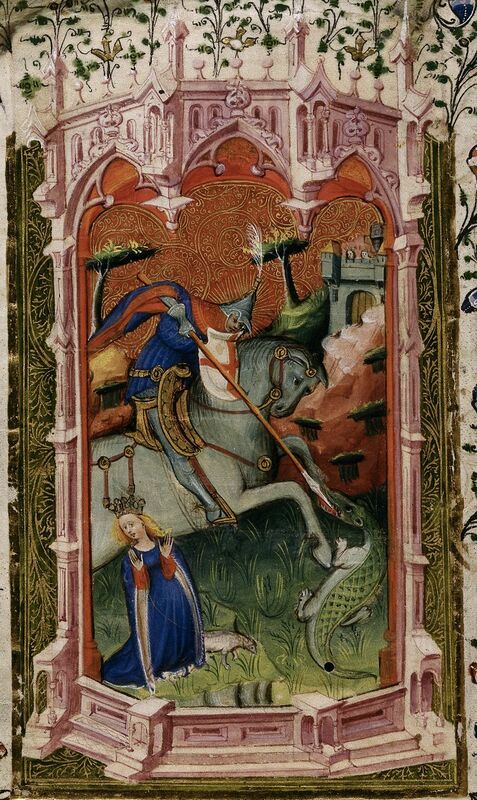 The twenty-third of April is the feast day of Saint George, patron saint of England. 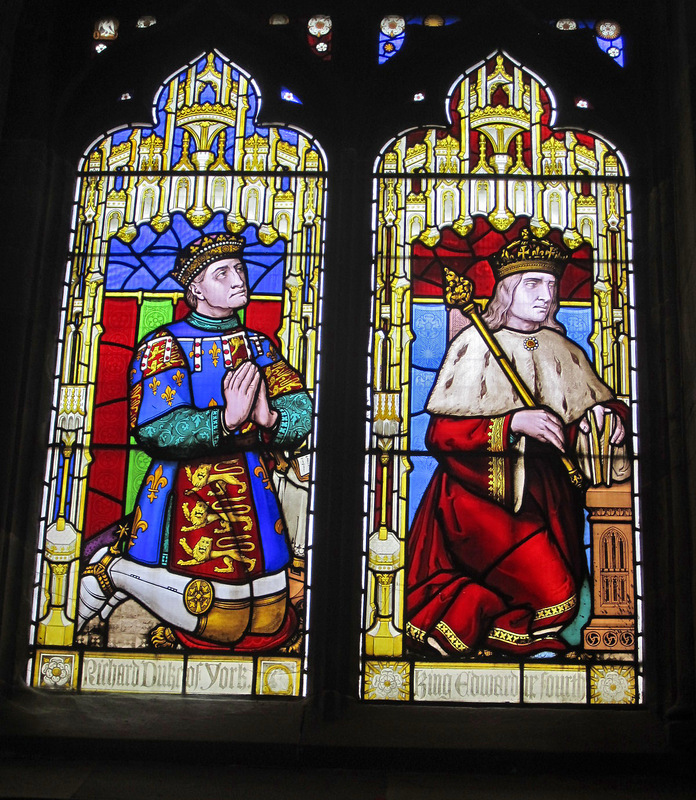 English interest in St George arose in the fourteenth century under Edward III, who created the chivalric ‘Order of the Garter’ in his honour in 1348. 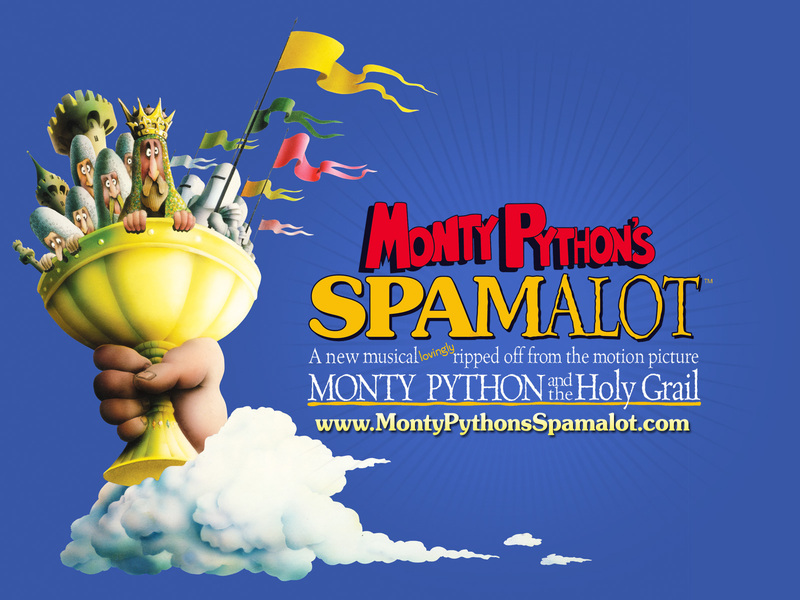 The king’s special affinity with the military saint, and his notable success in the Scottish Wars of Independence and the Hundred Years’ War, may have helped to establish St George as the patron saint of England. 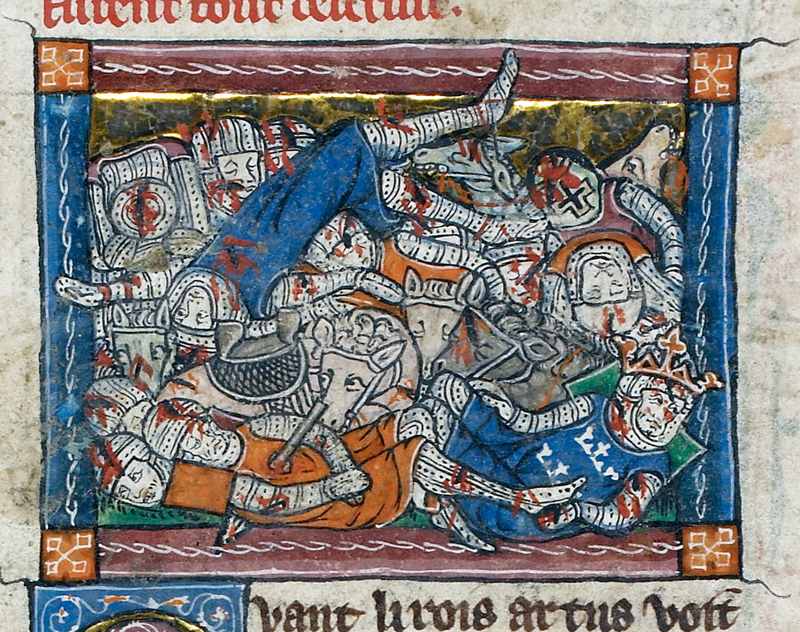 Banners displaying St George’s arms (a red cross on a white background) were carried into battle at Halidon Hill (1333) for example, and, according to the fourteenth-century chronicler Jean Froissart, the English used the saint’s name as a battle cry before defeating the French at Poitiers (1356). 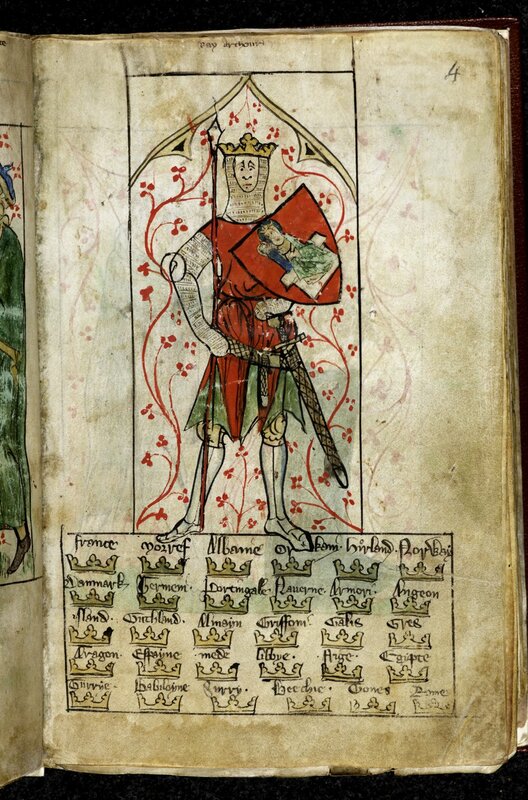 The Garter King of Arms Kneeling before St George in British Library MS Stowe 594, f. 5v. 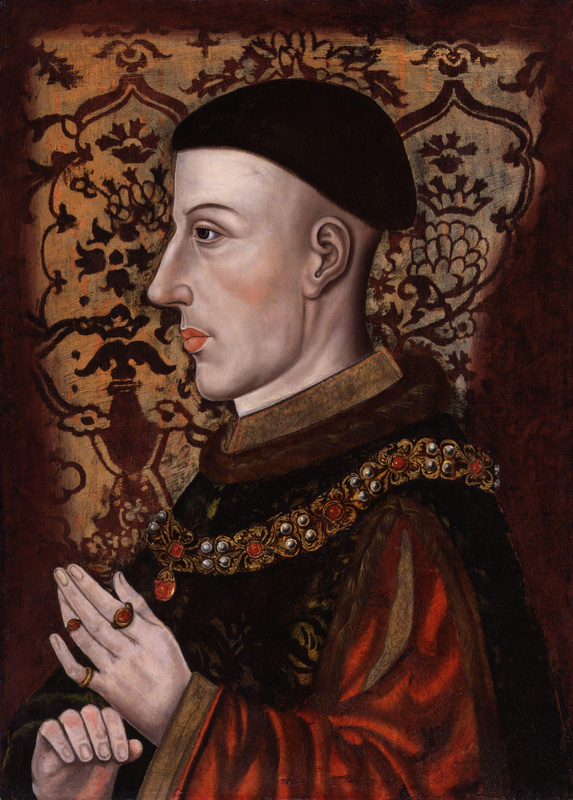 In the fifteenth century, Henry V’s personal devotion to St George continued to enhance English enthusiasm for the saint. In 1415, English soldiers carried banners depicting St George’s arms into battle against the French at Agincourt and emerged victorious. 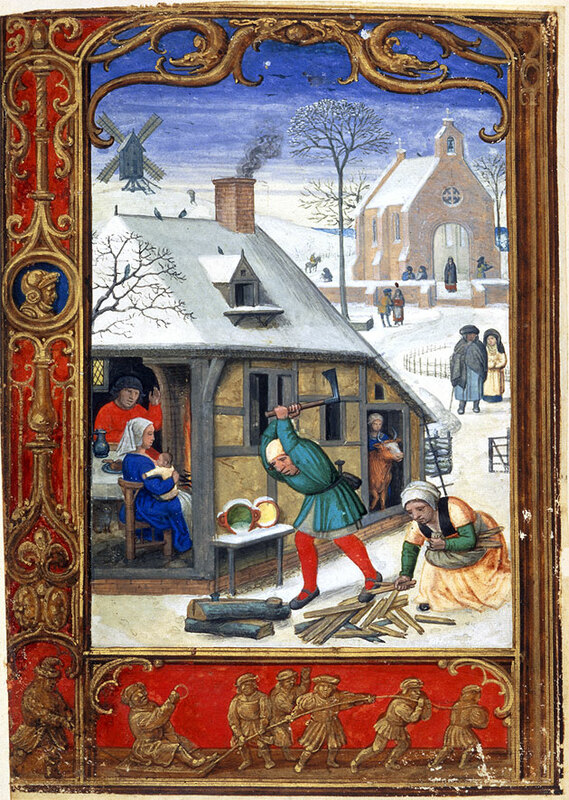 The saint’s feast day was declared a double holy-day and Archbishop Chicheley ordered that it should be kept as solemnly as Christmas, which meant, among other things, that people didn’t have to work. 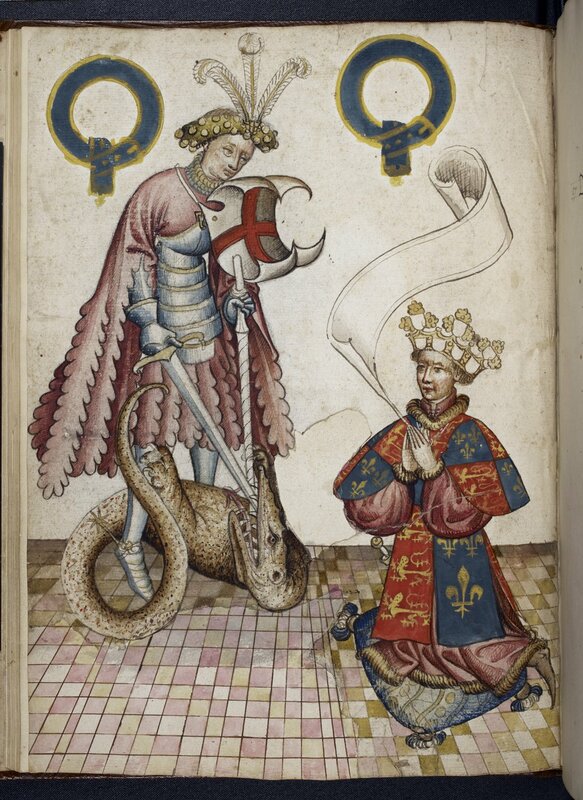 By the late fifteenth century, St George was sufficiently aligned with military success, chivalry and national pride, for one chronicler to create a unique mythology for the arms, linking the best kings and knights from Britain’s legendary history with contemporary sovereigns and their chivalric orders. 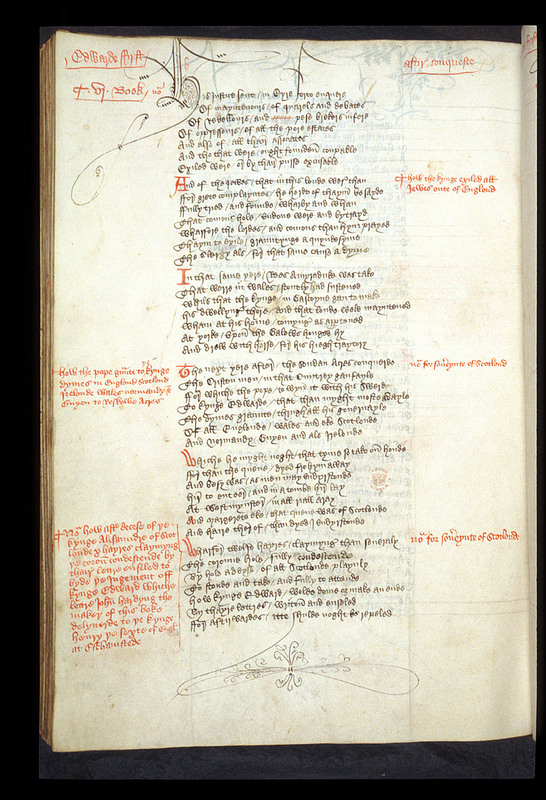 Completed during the civil conflict known as the Wars of the Roses, the two chronicles composed by John Hardyng begin their account of St George’s ‘red cross’ with material adapted from the Vulgate Cycle of Arthurian romance. 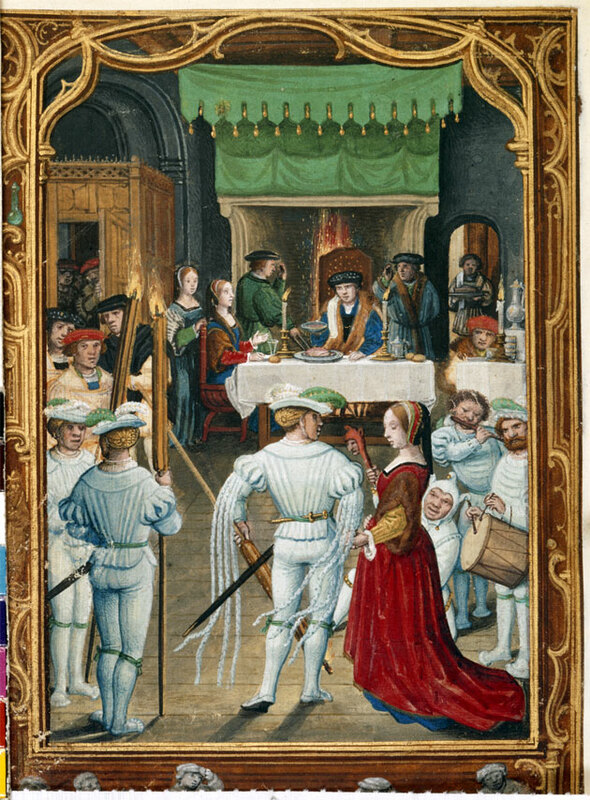 Hardyng explains that the ‘armes that we Seynt Georges calle’ originated with Joseph of Arimathea. 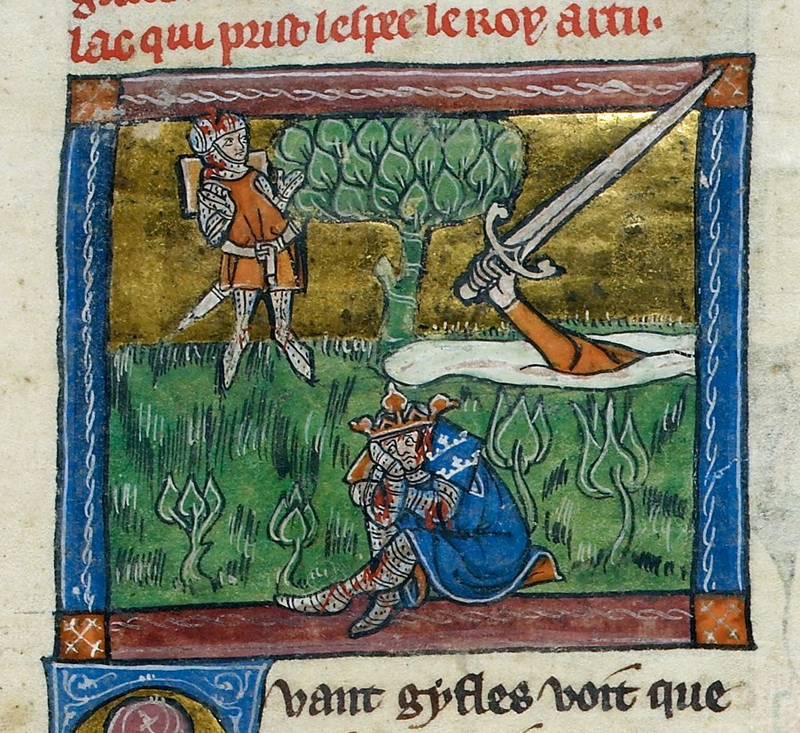 Joseph is said to have given a shield to Evelac, pagan king of Sarras, upon his conversion, which bore a cross of blood in token of the blood spilt at Christ’s Crucifixion. 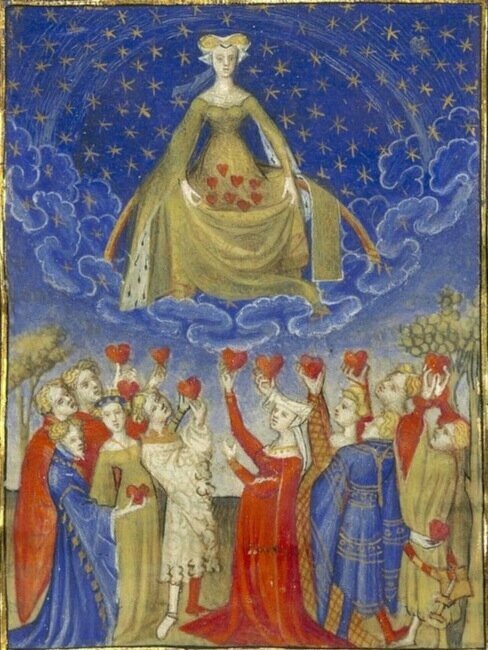 The same device, we are told, was later adopted by the legendary Christian kings, Saint Lucius and Constantine the Great, by the Grail Knight Sir Galahad, who finds Evelac’s shield before achieving the Holy Grail, and by King Arthur, who is presented with a reliquary containing Galahad’s heart in the same way that the Emperor Sigismund presented Henry V with a reliquary containing St George’s heart in 1416. Were worshipt here of mykel elder date. 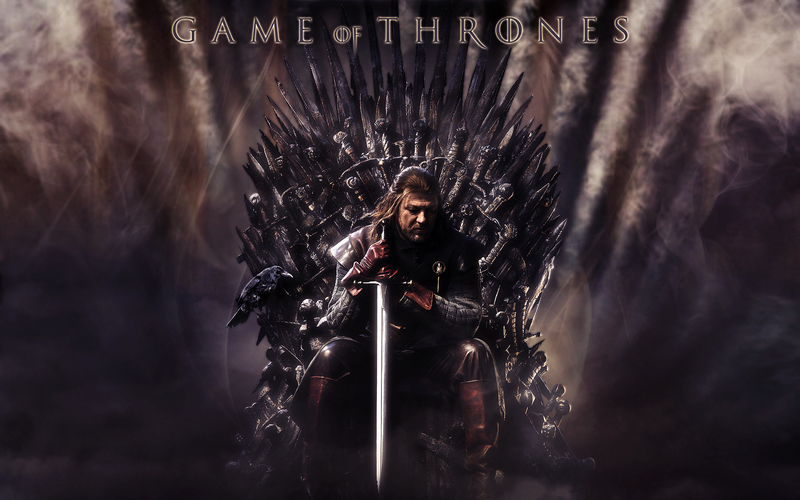 Elsewhere, he states that the arms are worshipped throughout the realm, especially by kings, who take them into battle and always emerge victorious. 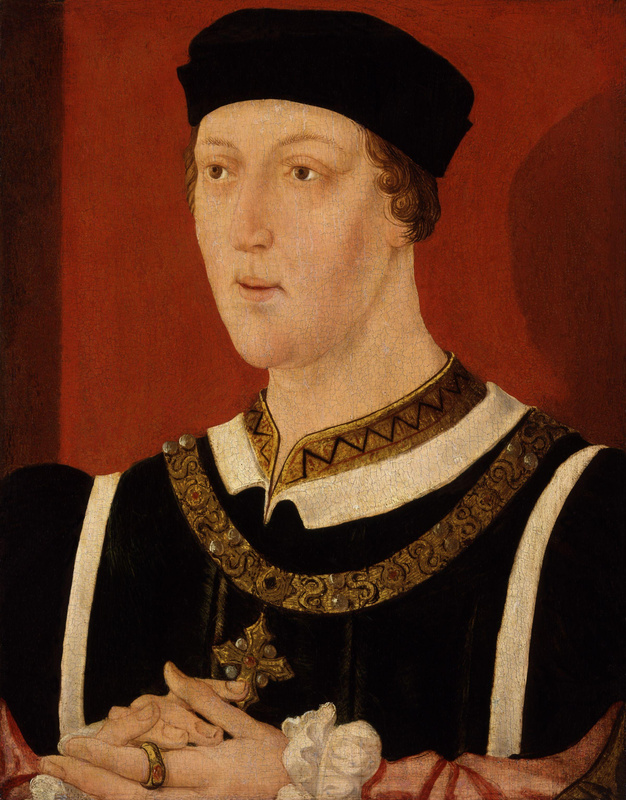 As a veteran of Agincourt, Hardyng doubtless had the victories of Henry V in mind and wanted to suggest that his glorious military success could be repeated again if his king (first Henry VI and later Edward IV) could bring an end to the civil conflicts plaguing contemporary Englishmen and reunite them against a common foreign enemy, such as Scotland or France. 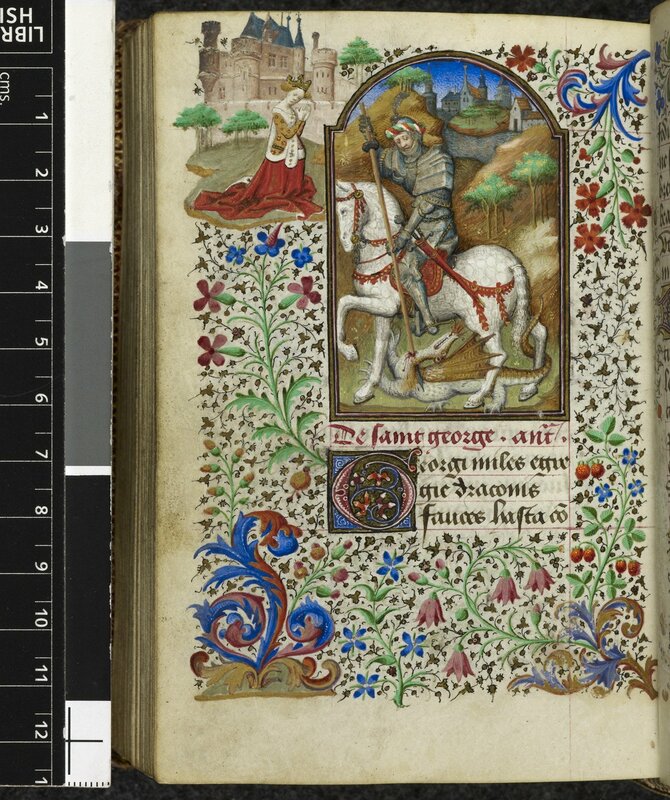 In Hardyng’s history, the arms of St George are a rallying point for all loyal Englishmen, who are encouraged to support their king and emulate the Chronicle’s best proponents of chivalry. 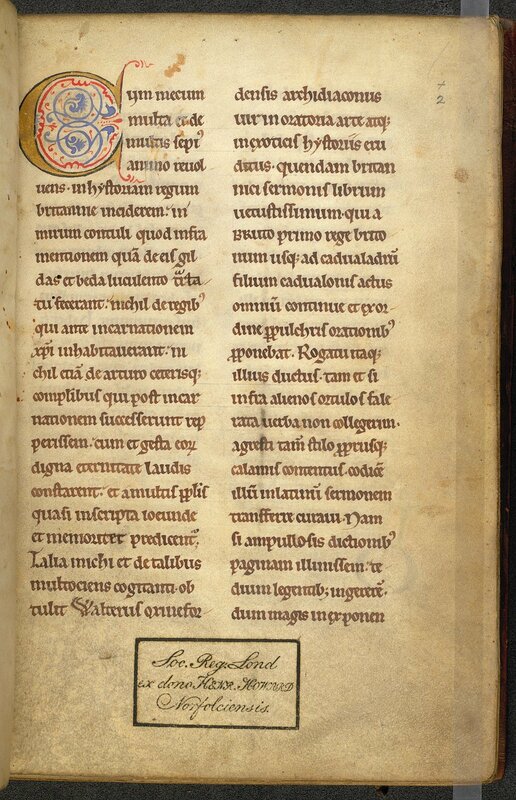 It is no coincidence that Hardyng ends the first version of his text with a eulogy for his former patron, Sir Robert Umfraville, a Knight of the Garter under the protection of St George, who is cast as the most courageous, kindest and just knight of his generation. 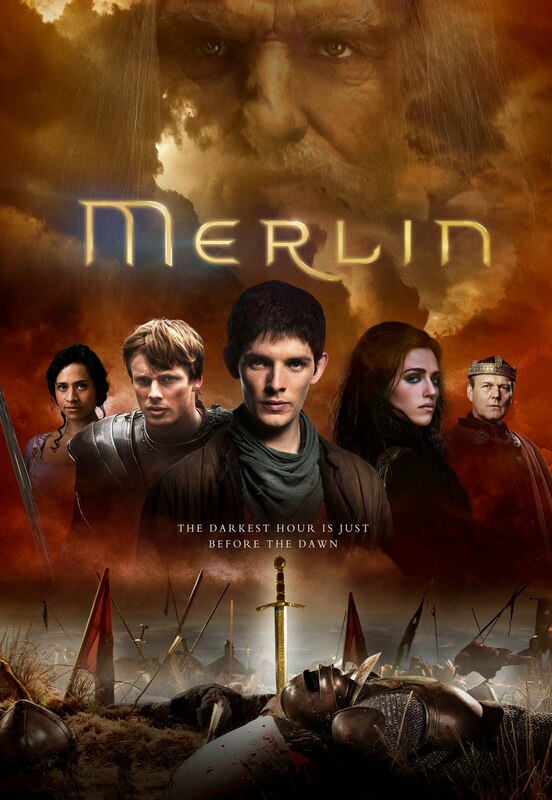 This entry was posted in The Parchment Mirror and tagged 23 April, Agincourt, Edward III, Edward IV, Emperor Sigismund, Galahad, Guy Ritchie, Henry V, Henry VI, historical consultant, Holy Grail, Hundred Year's War, Jean Froissart, John Hardyng, Joseph of Arimathea, King Arthur, king arthur film, medieval battle, medieval battle cries, medieval chivalry, medieval expert, medieval kings, medieval saints, medieval war, Melkin, Middle Ages, patron saint of England, Saint George, Scottish Wars of Independence, Sir Robert Umfraville, st george expert, St George's Day, William Shakespeare on April 23, 2013 by Sarah Peverley.